A mountainous wilderness park, Killarney Provincial Park situated in Ontario is a scenic haven for nature lovers. Enjoy a hike through the diverse landscape of Killarney and return to your campsite to enjoy a rewarding sunset at the end of the day. 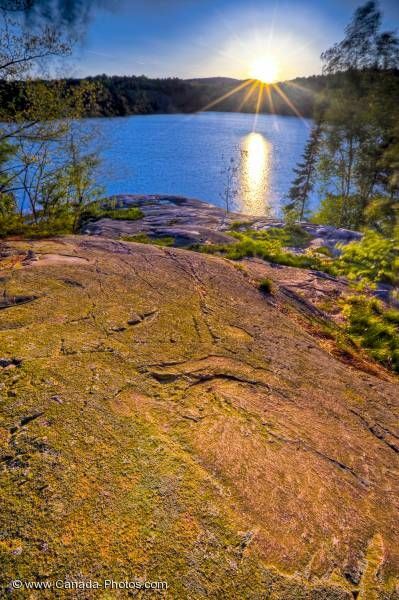 Sunset over the rocky shoreline of George Lake in Killarney Provincial Park, Ontario, Canada.